KCG supports the University’s ambition to build high quality buildings and to improve the quarter that it shares with the City. 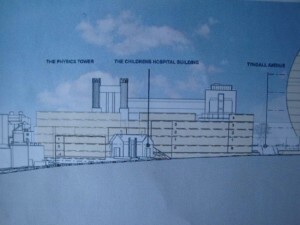 KCG supports the proposed redevelopment of the former Children’s Hospital site. 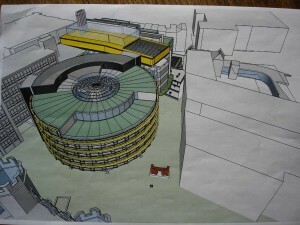 Sadly the proposed buildings are too big for their site. The purpose of this response is to improve the buildings’ appearance in the St. Michael’s Hill conservation area. Its disproportionate scale is harmful to the conservation environment of St Michaels Hill and the Tyndall Avenue corner. 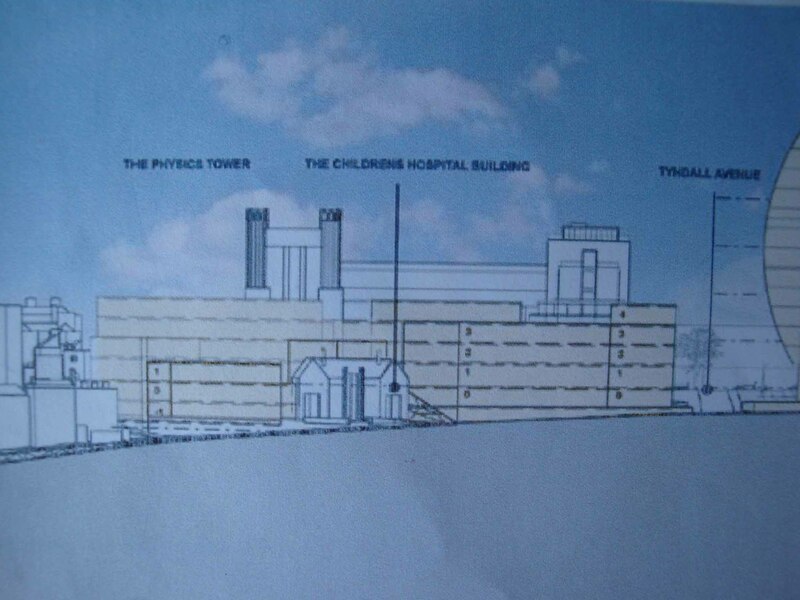 In the Masterplan the Schedule of Areas said that the St. Michael’s Hill elevation would be 4 floors tall. That’s what the University told the Evening Post on the 21st June 2006. Now, in the latest planning application, the building steps up from 4 floors to 6 at the Tyndall Avenue corner. The Masterplan said that Bio’s net useable floor area would be 4,060 square metres. The planning application says that its internal floor span will be 9,268 sq. 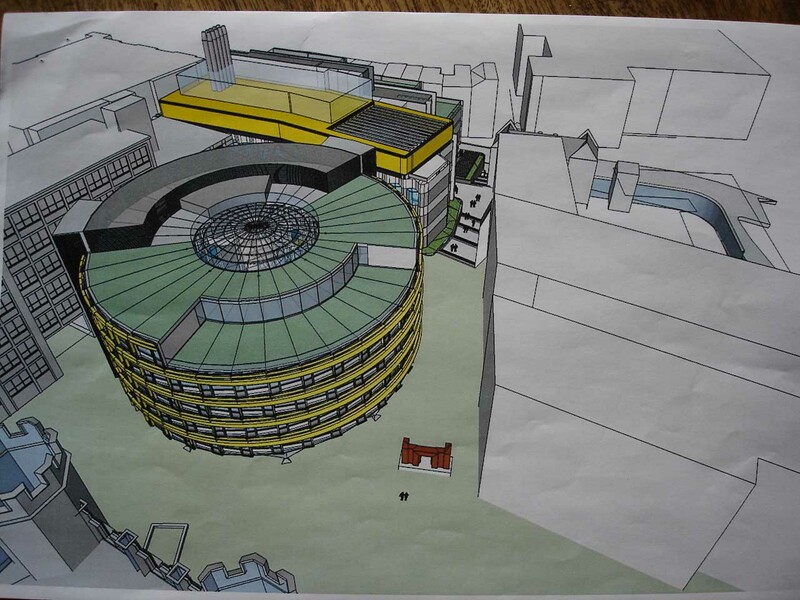 m. The figures for Maths have increased from 2,400 sq m in the Masterplan to 4,380 sq m in the planning application. The planning application fails to describe the floorspace in such a way that makes direct comparison with the Masterplan possible, but it appears to be doubled. The University has not given a reasoned justification why it now wants to exceed the size of the buildings agreed in the Masterplan. If Bristol’s masterplan process is not to be flouted, the University must respect the representations that it made in its own Masterplan. “The treatment of the St. Michaels Hill elevation is unresolved and inadequate. The floating façade with its heavily glazed ground floor sits uncomfortably in the context of the character and grain of the other buildings on the hill. A more grounded architecture of solid and void employed would relate better to the scale and grain of the nearby buildings. This elevation should be simplified into a stepped façade, broken into bays with a vertical emphasis and proportions that respect the eighteenth and nineteenth century context of the conservation area. A computer generated view of the Maths building in the centre, Bio top middle with St. Michael’s Hill. The outline of a building on the right is of a building that is not yet designed. The new buildings will practically block the strategic view of the Physics Tower from Kingsdown Parade. You can view the planning application and write your comments to the North Bristol Planning Team, Brunel House, St. George’s Road Bristol BS1 5UY. Alternatively, you can view the application on line at tinyurl http://tinyurl.com/c5p6jy and file your response on line. If you too don’t like the University’s plans send the Planners your response before the 20th February, which is the closing date of the public consultation.